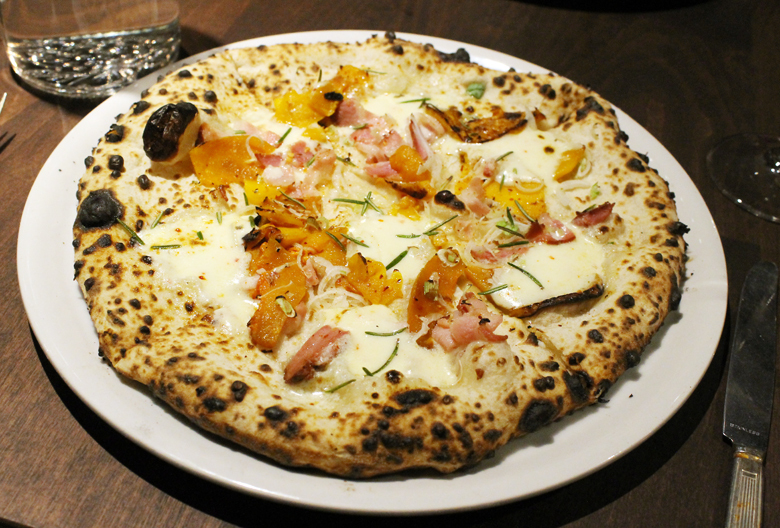 Winter squash pizza at the new Del Popolo restaurant. After three years of rumbling around San Francisco, the hulking Del Popolo pizza truck — with its 5,000-pound oven hauled around in a deconstructed shipping container — has finally added a real brick-and-mortar venue. 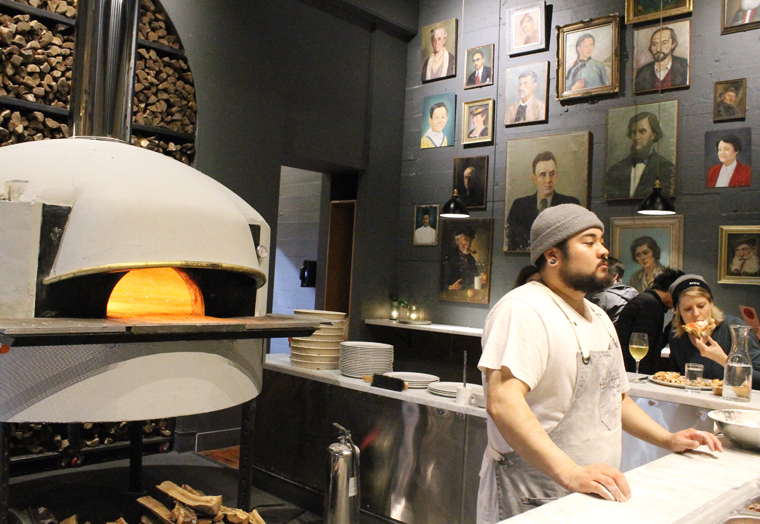 Opened just about a month ago on Bush Street in Nob Hill in a 1,700 square foot space once used by a theater company, the new pizza joint is as full of character as its justly famous pies. The centerpiece, of course, is the imported Italian wood-fired brick oven easily viewed from anywhere in the small dining room. The dark gray walls enclose the space with a sense of coziness. 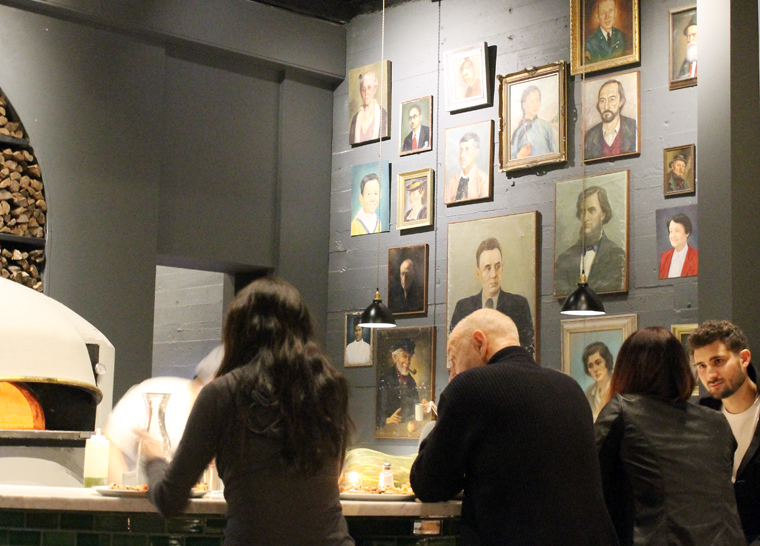 The plethora of “Soviet-style” oil paintings hanging all over the walls add whimsy. Owner Jon Darksy apparently purchased them all online and put them on display in a nod to Del Popolo’s name, which translates to “of the people.” General Manager Essam Kardosh says the staff has so taken to them that they’ve made up back stories for each of them. When I was invited in as a guest of the restaurant recently, the place was already humming and packed when I arrived at 6 p.m.
You may come here for the pizza. But don’t neglect the rest of the menu, which is overseen by Chef de Cuisine Jeffrey Hayden, who has worked at wd50 in New York; Blackbird and Alinea, both in Chicago; and Boot and Shoe Service in Oakland. 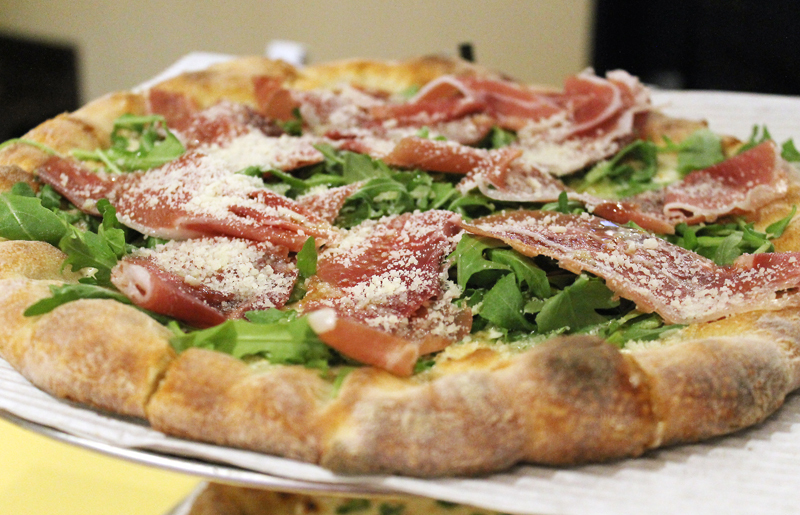 Prosciutto and arugula pizza at the new Howie’s Artisan Pizza in Redwood City. 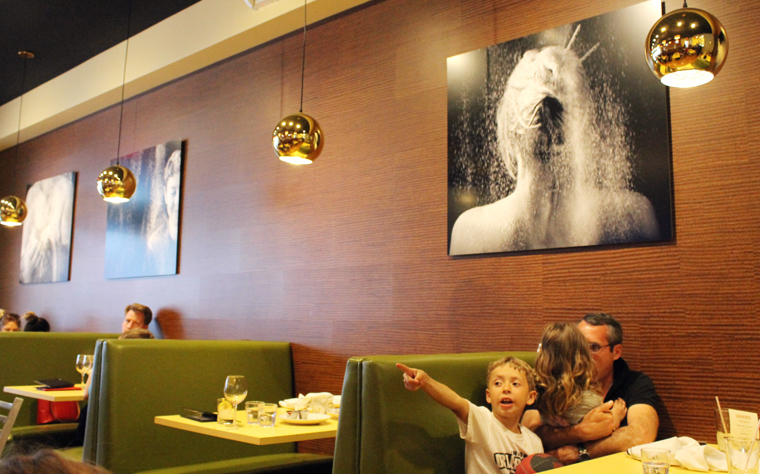 If you’re already a fan of Howie’s Artisan Pizza in Palo Alto, you’ll want to check out its second location, which just opened three weeks ago in downtown Redwood City. If you’ve yet to experience Howie’s, here’s a great excuse to finally do so. That’s because the second Howie’s is larger. The dining room is about the same size in both locations. 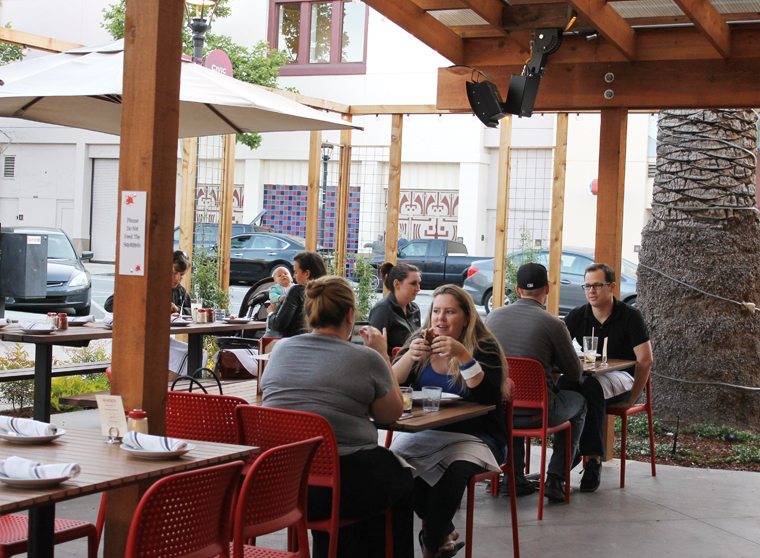 But the Redwood City one boasts an expansive, heated patio that essentially doubles the seating capacity. Howie’s in Redwood City also has a much more extensive menu. The Palo Alto location only has a pizza oven. 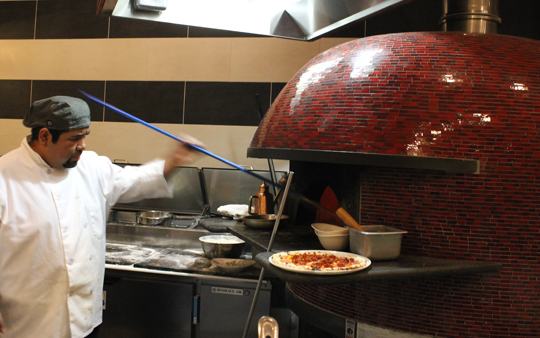 The Redwood City location has that same primo oven, plus a full-on kitchen. That means you’ll not only find impeccable pizzas with what I think is probably the best crust in the Peninsula/South Bay, but also burgers, awesome fries, and desserts like banana cream pie and rhubarb crisp. 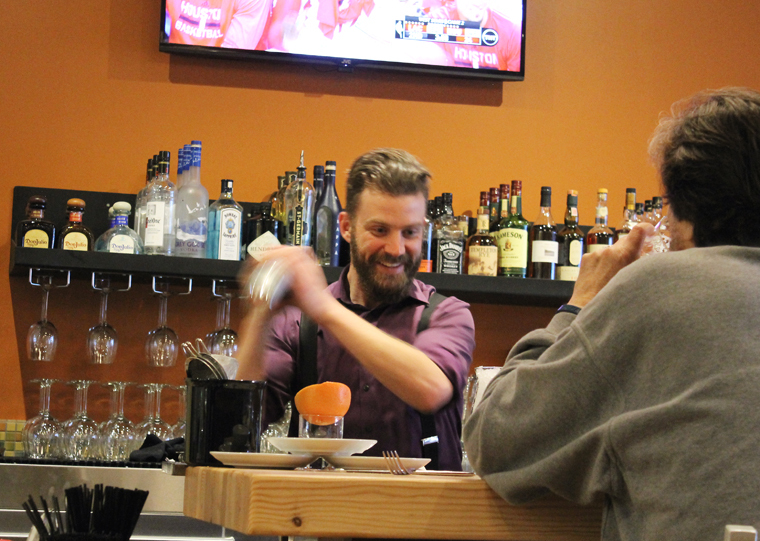 What’s more, this Howie’s also has a liquor license and a bar manager, Ryan Ingram, with some serious mixology chops. That means he’s making their own grenadine for the Scofflow ($11), a blend of Templeton rye, vermouth and lemon; and his own pineapple gum syrup for his namesake Ryan’s Pisco Punch ($10). The large, heated patio seats as many as the dining room. 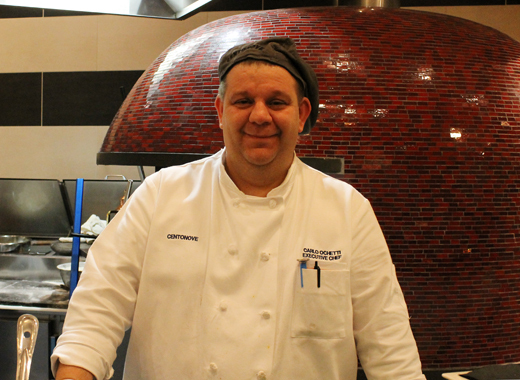 Chef-Owner Howard Bulka is already contemplating adding nightly blue plate specials. He also plans to start brunch service soon, which will include a very special treat you won’t want to miss. But more on that later. Oak & Rye and Oh, Those Pies! The “California 2.0” at Oak & Rye. 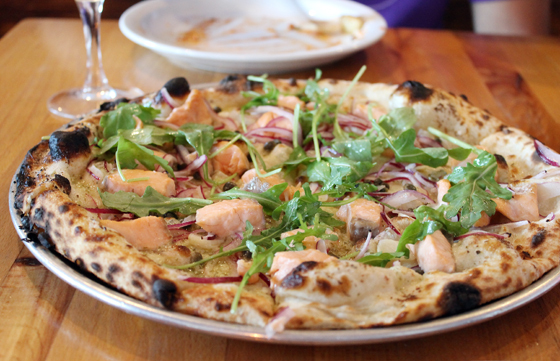 It’s taken me nearly a year to finally make it to Oak & Rye, the much lauded pizza joint in downtown Los Gatos. But it was well worth the wait. You see, the restaurant does not take reservations unless you come with an army of 10 people. That means you have to play the waiting game. And given how popular the place is, the wait can be extensive. But finally, I cleared my schedule, and arrived with my husband around 5:30 p.m. on a recent Saturday. Good thing we got there when we did, too, because while we were seated immediately, a mere half hour later the place was packed. It’s easy to see why. It’s a loud, lively place with creative cocktails and a menu sure to please most any palate. 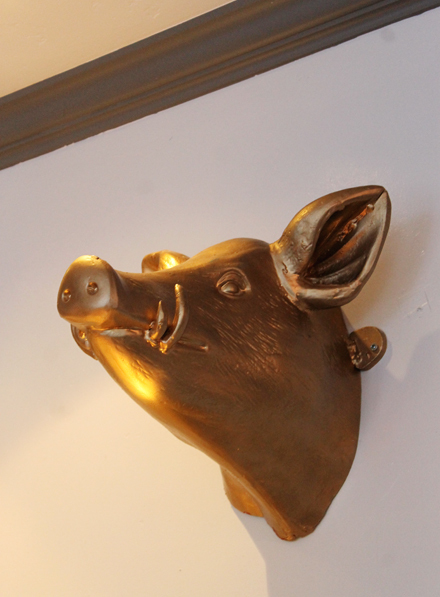 It’s got an idiosyncratic vibe, what with its framed vintage album covers from the Blues Brothers and Culture Club on the wall, not to mention a gleaming bronze boar head mounted as if it’s keeping an eye on the kitchen. 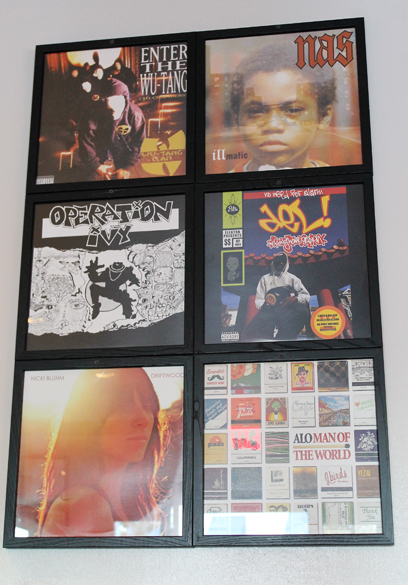 Old album covers grace the walls. Our table was right next to the open kitchen, whose centerpiece is the copper mosaic wood-fired oven. 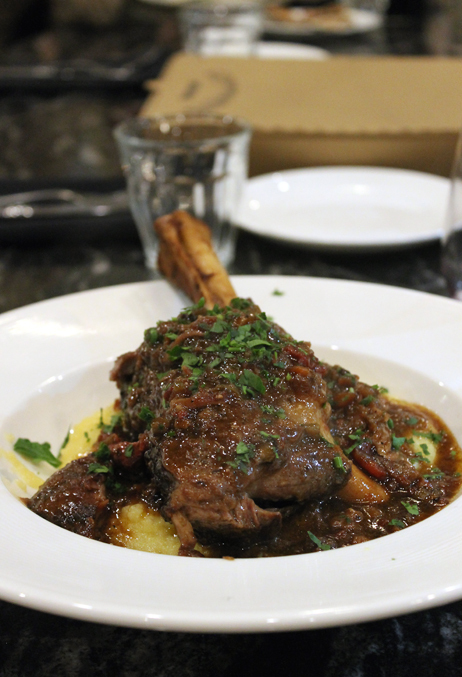 Birk’s of Santa Clara marks its 25th anniversary this month with a slew of specials. Through the end of March, the restaurant, which has long hosted the movers and shakers of Silicon Valley, will offer a $25 three-course “Classic Americana” menu that includes choices such as prime rib, beef tenderloin fettuccine or stuffed petrale sole. To go with it, the restaurant also is pricing five select wines at $25 per bottle. During “Happy Hour” during the month, look for 25-cent wings or a plate of a half dozen for $1.50. Pair that with an “89er” anniversary cocktail ($8.90) made with apple wood-smoked bacon infused Maker’s Mark Bourbon and garnished with maple foam. 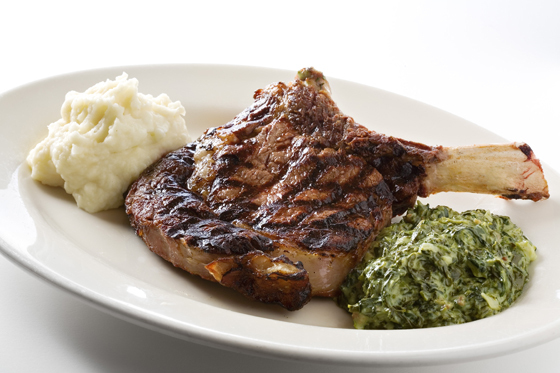 What’s more, anyone born in 1989 who dines at Birk’s in March will receive a $25 gift card to use on a return visit. With its custom split grill, back-iron broiler and a 250-pound capacity smoker, Birk’s is known for its chops and seafood. Executive Chef Maurice Dissels has headed the kitchen since 2001 at the Pat Kuleto-designed restaurant. 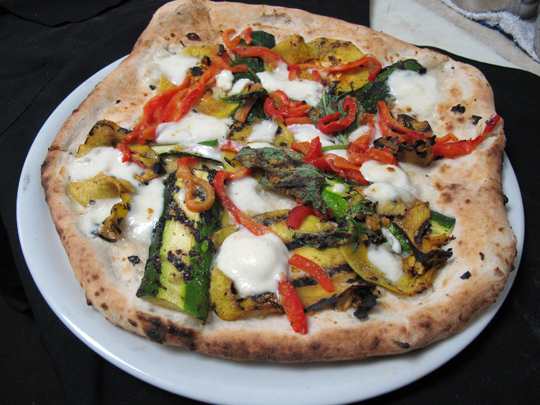 A new Neapolitan-style pizza joint has opened in downtown Mountain View. 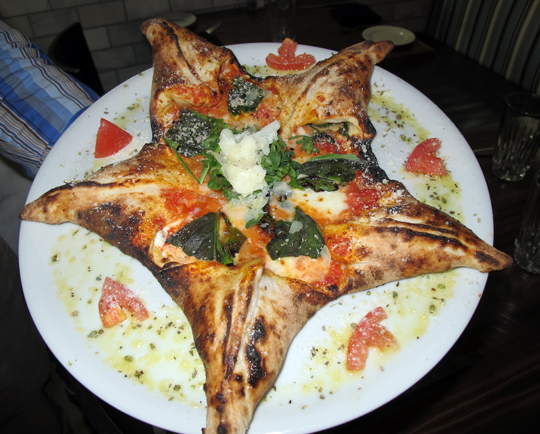 Its name is Doppio Zero for the highly regarded, finely milled flour used to make pastas and pizza crusts in Italy. Pasta selections include house-made garganelli with sausage, broccoli rabe and pecorino; and house-made spinach fettuccine with morels, asparagus and shaved Parmegiano Reggiano.